"Technology is driving unprecedented disruption in marketing and advertising. Where is it all going and what does it mean to today’s marketing decision-makers? 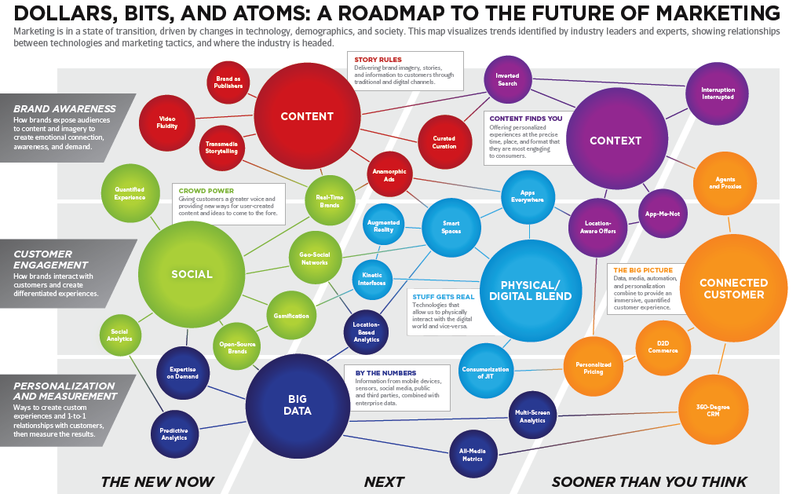 This paper and forecast map present a high-level view of the changing landscape for marketers. It is the first in a series of five to be released in the coming year, produced by MediaPlant with the support of Microsoft, based on conversations with industry thought leaders, technology innovators, and outside experts." Download "DOLLARS, BITS, AND ATOMS"